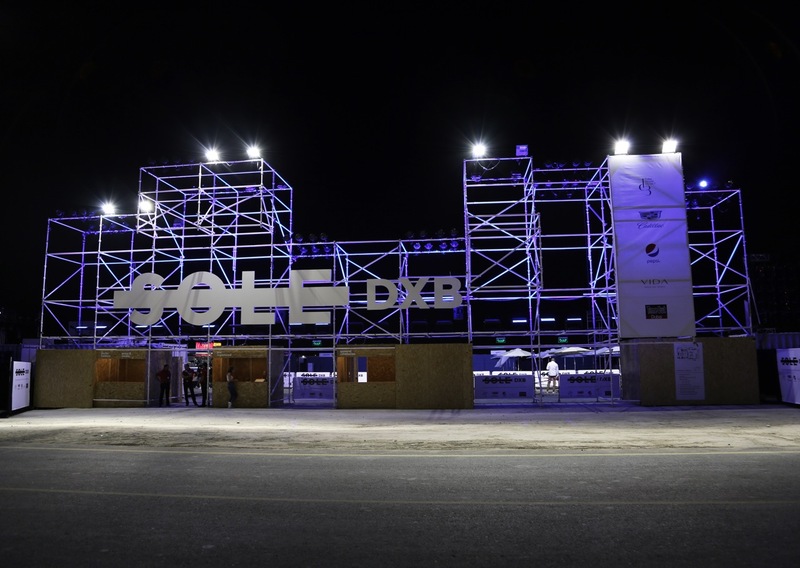 Sole DXB is an urban trade show platform for footwear, fashion, design and alternative culture in the Middle East. 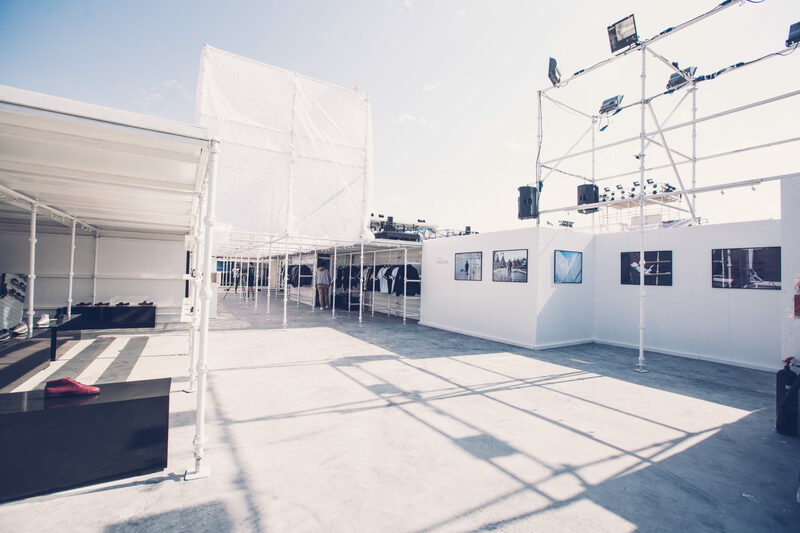 The event feeds its inspiration from the world’s largest urban cultures and cities from around the world, including New York, Paris, and Tokyo. 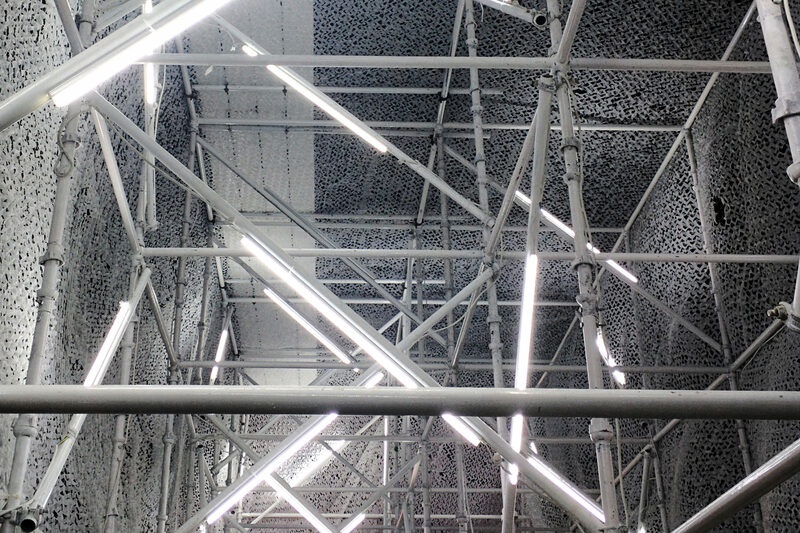 Introducing a common element found in urban construction, scaffolding became the main feature. 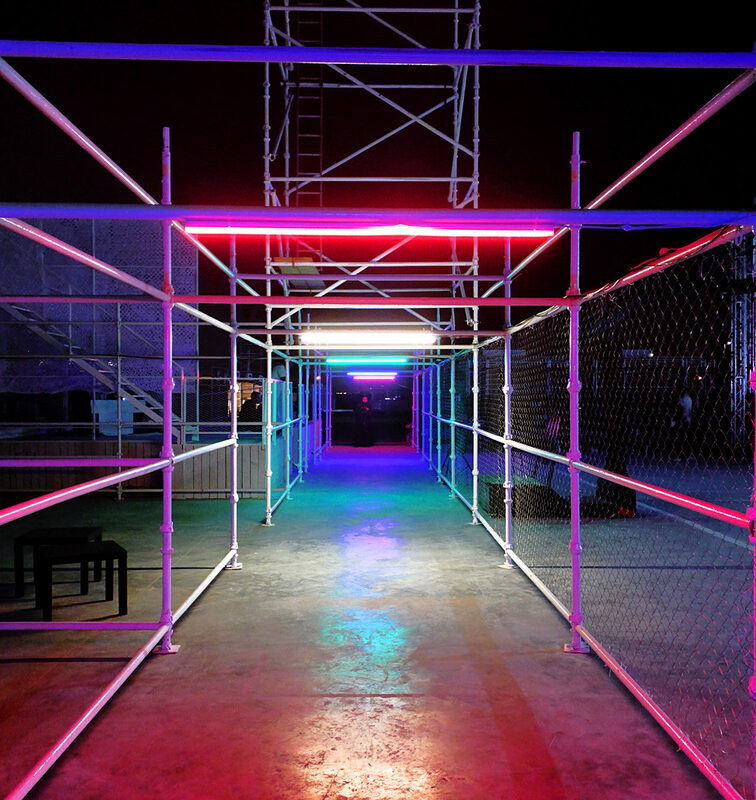 These linear shapes were juxtaposed against containers to create masses and alleyways for the visitor to explore. 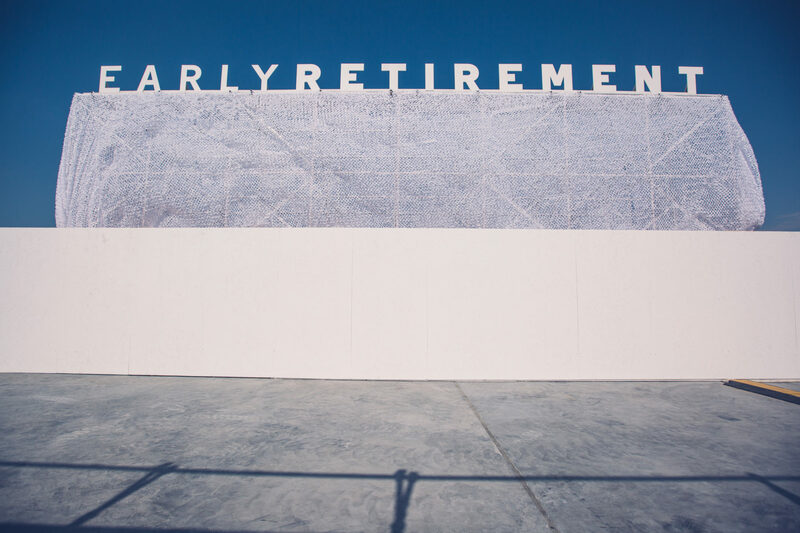 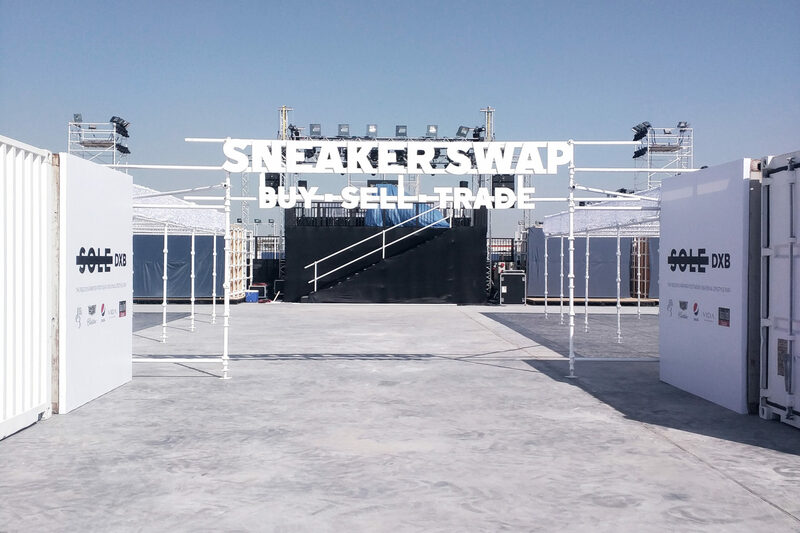 The venue was spread out with hidden pockets as found in city settings, creating a more dynamic platform for the Sole DXB’s program of fashion, music, sport, entertainment & knowledge.